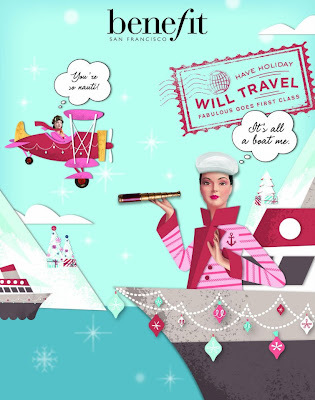 Benefit says Ho-Ho-Ho Holidays with their Xmas Kits! 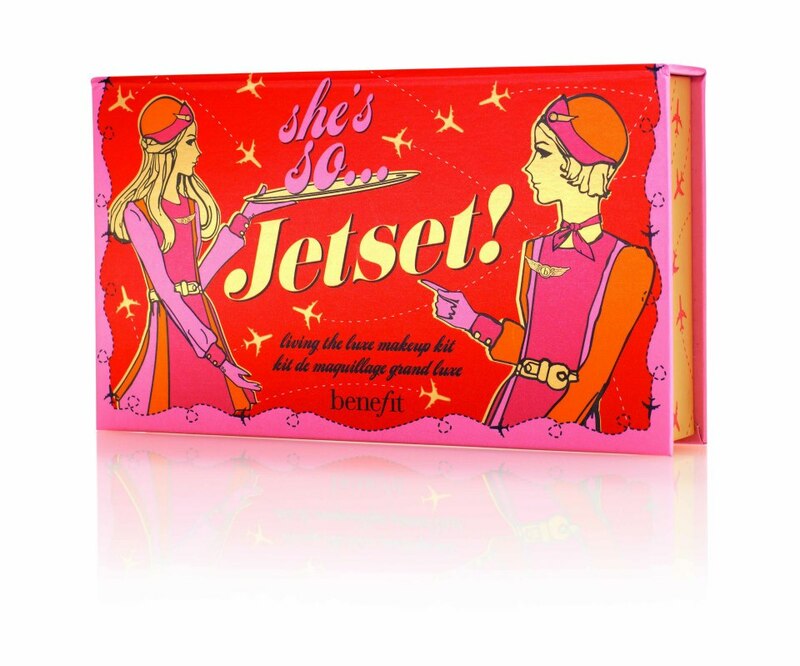 It's that time of the year again where Benefit releases their much- coveted limited edition makeup kits. Whether you're into perfumes, skin care, or makeup, you'll find something from Benefit! 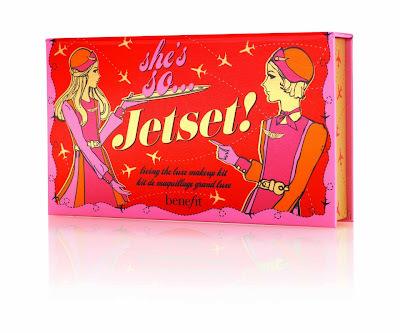 Benefit has once again curated some of their blockbuster products in travel- friendly versions and boxes! BUDGET GIFTING TIP: Buy the Eau My! 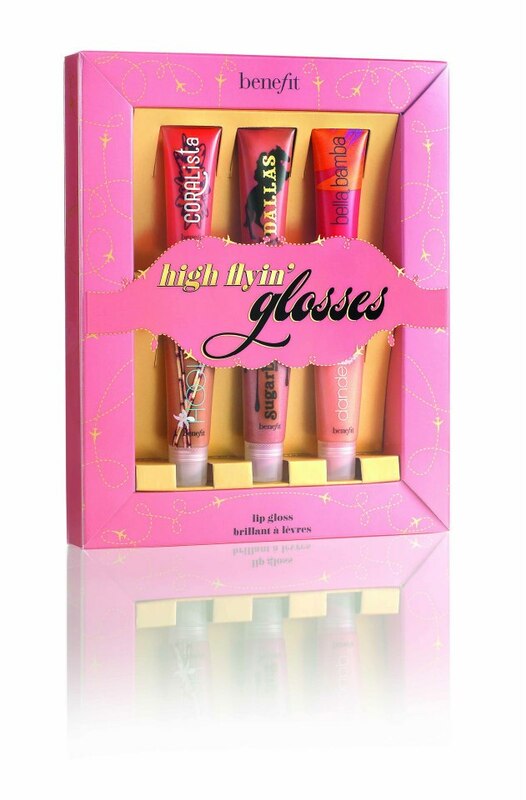 and High Flyin' Glosses set and give them away to your girlfriends! A mini fragrance set featuring four of the greatest of Crescent Row: Laugh With Me Lee Lee, My Place or Yours Gina, Ring My Bella, and the newest fragrance to join the roster, See and Be Seen Sasha. Contains a full- sized tube of Porefessional, deluxe- sized bottle of Benetint, and a mini tube of They're Real Mascara. A powerhouse suitcase containing full- sized versions of Watts Up! and Dandelion Blush, and mini versions of Porefessional and Posie Tint. Finally, Lee Lee's beauty secret is out! Sport a fresh, spring glow with this set featuring full-sized versions of They're Real Mascara and That Gal Brightening Primer, and mini versions of Porefessional and Laugh with Me Lee Lee fragrance. She's so Jetset contains mini versions of Porefessional, They're Real Mascara, Lipgloss, box- exclusive eyeshadows, overall face powder, and a mini face brush and dual- ended eyeshadow applicator. Please visit BENEFIT COSMETICS PHILIPPINES for more information about the holiday sets. I long wanted to get the Lee Lee's Kit..
omg i havent used any benefit makeups yet cause theyre too pricy. kasama b un mga boxes pag bumili ng set? mira n nga ang mga yan conaidering its benefit! omg i want that lee lee's beauty secrets and the she's so jetset! but i think i will go for the latter! i always want to try that porefessional~ is it available in trinoma? omg, I want the last set! these are gorgeous!